Real estate trend is defined as any consistent pattern which includes changes that affect the general direction of real estate industry. These changes are results of varying mortgage rates, economic factors, consumer speculations and other possible reasons. 1. Urban Core Housing in 18-Hour Cities – The trend is spreading like fire across the country. Urban areas all over the United States are competing again to bring more commercial structures like apartments, shopping malls, offices, shops, bars, and restaurants to accommodate the needs of people who like work and shop before going home. Downtown areas are bustling with activities during evenings in cities like Charlotte, Raleigh-Durham, Denver, Charleston, Greenville, Portland, Atlanta and Brooklyn, New York. Emerging housing projects encourage these cities to strengthen their commercial districts to become perfect places to work, live and find entertainment. Transformation makes them ideal areas to combine housing, dining, retailing, marketing and walking to offices or vice-versa. 2. Millennial Homebuyers Choose to Rent – The millennial generation is children born from 1982 to 2002. They are about 81 million in numbers and will replace Baby boomers when they retire. Millennial generation is apt with technology, multi-tasker, career-oriented and love the diverse environment. They are the prospective home buyers but believe in taking time before deciding to have one. They just love to the city life, and when choosing permanent homes, they prefer to combine urban with suburban lifestyle in areas which offers convenience, safety and fun. 3. Shortage of Labor Market – There is an increasing decline in numbers of construction workers that affects real estate industry. Seasoned workers are now retiring, and there is a strong need to fill up vacancies to keep up with the demand for construction. 4. Lesser demand for Big Spaces- As the influence of modern technology intensifies, there is a shrinking need for big places to work or live. Technology brings changes in space use and locations. Millennial generation prefers to borrow rather than buy. They secure short-term rentals for homes or share them with friends. They also share spaces for office needs. 5. The risk of events – The trend of seeing investors from core to opportunistic is now a classic truth. In 2015, opportunistic investment reemerges in real estate market. Positive expectations of aggressive and conservative investors are being influenced with the release of National Council of Real Estate Investment Fiduciaries and National Association of Real Estate Investments that there would be 60-90 returns by the year 2020. 6. Greater global investment opportunities – One of top 10 real estate trends 2015 is the effect of geopolitical risks, natural disasters and international unrest to foreign investors. It will bring more investors to increase their efforts to expand their market in the US. 7. The emergence of real estate players in the industry – The influence of new Defined Contribution Real Estate Council is one of the positive factors that are changing the real estate industry. The prime council tasks are helping their sponsors get higher investment returns and assisting retirees to take advantage of investment opportunities. The council has a combined capital amounting to $12.t trillion. 8. Performance matters – Factors such as performance and efficiency are the most important concerns of real estate investors. They expect “more quality services for less money investment”. Bidding intensifies as more real estate companies compete to prove their efficiency and effectiveness to carry out the expectations of investors. 9. Lack of essential structures and infrastructures – One of the main concerns of real estate buyers now is the lack of health care facilities and educational buildings in areas that they consider as good places to invest. Places that need road and bridges renovations are also being ignored by most investors which hurt the real estate industry. The lack of physical facilities that brings ease of commutation can affect the business. 10. Keep the balance – Do not forget the lessons of the past. It is necessary to balance optimism to protect the industry from another housing bubble. The gradual recovery of the economy still poses a risk to real estate industry, so it is important to continue being on the safe side while keeping an optimistic effort to keep real estate alive. In today’s highly competitive real estate market, home staging is one of the crucial elements in selling a property. Home staging is a marketing method utilized by many real estate professionals to make residential property look good upon selling in the real estate market. The goal of home staging is to improve the aesthetic appeal of any real estate property to appeal to potential buyers, thereby improving its value and be sold at a much faster rate. Home staging professionals make use of various staging techniques to improve a property’s appearance which can help pique the interest of any potential buyer. Why is home staging important? This article will tell you more about the benefits of home staging in real estate. Why is home staging important? That is the question most people tend to ask when selling a property for the first time. People who are looking to sell their property in the market are faced with the harsh reality that the real estate industry has drastically changed in the past years. It has been more competitive than ever, and many realtors go to great lengths just to secure a good deal which was deemed unnecessary two decades ago. Improving a property’s aesthetic appeal through home staging can help anyone sell a property a lot easier. You should not underestimate the importance of home staging in the real estate market. The majority of buyers form an opinion about a home for sale right after they have entered the property’s premises. Therefore, the property needs to look good to give potential buyers a good first impression. Around 90% of the real estate market revolves around the internet. 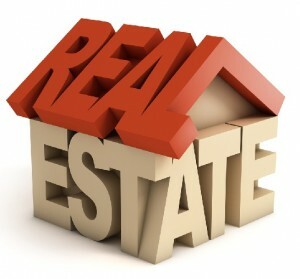 It has already been a trend in the past decade to look for real estate properties for sale on the internet. 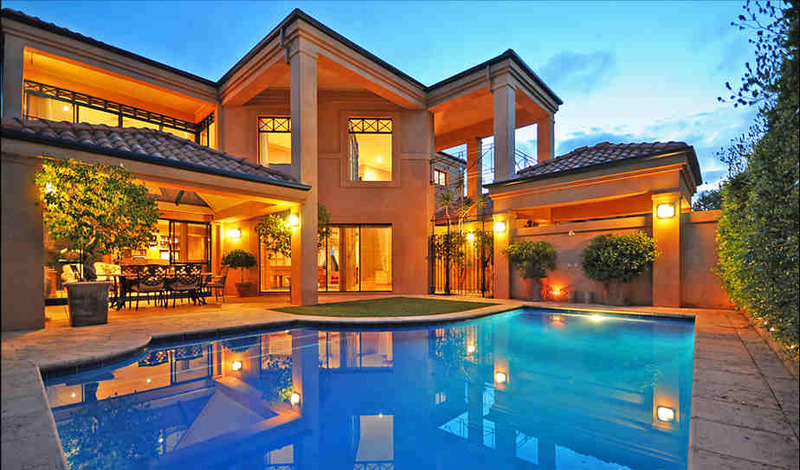 Therefore, it is crucial you ensure that the property makes a good impression online. Home staging can help you with this aspect. People who spend hundreds of dollars on home staging can easily recover the expenses as the value of the home also increases. Based on the controlled tests conducted by the Real Estate Staging Association, selling a professionally staged house is a lot faster compared to selling a non-staged house despite the fact that both houses are identical. The non-staged house was sold in about 102 days while the professionally staged house got sold in onl5 45 days. To get started with home staging, you need to put yourself in the buyers’ shoes and perceive your property through their eyes. One of the key aspects of home staging techniques is to remove any personal accents and make the environment as neutral as possible. To attract potential buyers, you need to eliminate any signs of person lifestyle from home. For example, dogs and cats may look appealing to the previous owner as they are pet lovers but potential buyers who are not into pets will find that aspect a bit of a turn-off. This can jeopardize your opportunity of seizing a sale. Since home staging has only grown in popularity in recent years because of the internet, there have not been sufficient studies to support the claim that home staging can indeed affect buyers’ opinions. However, recent trends in the real industry clearly show home staging can a have a positive impact in selling a property. The next reason you ask yourself the question “why is a home staging important?” you just need to put yourself in the buyers’ perspective to get a better picture. To a real estate agent who is selling a house, land property, or both, the customer would always ask what the house and land look like. For some buyers, they do a viewing of the house personally, but then there are others who would ask the same thing in another form of viewing — pictures. With just a click of a button, the client, in his or her own time, can view the property, save the pictures, and show it to his or her family and friends. However, as much as it is just a simple “point-and-shoot” task, pictures can influence the buyer’s decision on buying the property or not. To make the pictures beautiful and pleasing to the customer, here are five real estate property tips that will make the client decide if the estate is worth buying or not. The two main differences between using a phone camera and a Digital Single Lens Reflex — also known as DSLR — are the versatility of the gadget and quality of the pictures. Unlike a smartphone camera, a DSLR can provide high-quality pictures, take wide-range or macro pictures, and easily adjust to the environment’s current lighting. Although it may be bulky and quite a handful to bring at the location of the property, customers usually, if not always, seek pictures that aren’t blurry, are very detailed, and have high resolution. 2. Always take the photo with the best lighting. In any photography, the lighting is key. When taking a picture of the exterior of the house and lot, always take a picture either early in the morning or late in the afternoon so that the picture will not be overexposed and have a few mid-tones and shadows. When taking pictures of the interior in the daytime, it is also best to open the windows and see how the light enters and brightens up the room. Turn on the lights as well to adjust the settings of the camera to your liking. It is also always bested to take test shots, and if needed, flash can be applied. 3. Landscape orientation is a must. One of an essential things that clients will always take note of when viewing property is how much space it has. Buyers don’t want to be cramped in a single space — they would want to have enough space to move around in without disrupting anyone else that lives in the house. That’s why landscape orientation is a must when taking a photo of the property. With this, the customers would see that the place is more than enough to move freely around in and accommodate him or her and his or her family. 4. Take note of the angle! The best way to take a creative shot on a wide range of either the exterior or interior of the house is by taking a picture in a three-fourth point of perspective, where the photographer is situated between the side and front view of the room or exterior of the property. The reason for this is so that the viewer would see a lot more of the interconnection of the rooms and get a better idea on how the place look would personally. When taking pictures, it is also better to take it at eye level rather than doing a bird’s-eye view or “below-the-eye” level. What it means is to level the camera in the same level as how you, the photographer, are viewing it so that the customer would feel like he or she was being given a virtual tour instead of a creative shot, which he or she doesn’t demand. 5. Composition makes it exciting. From orientation to eye level shots, it has come down to composition where its main function is to make the viewer’s, or in this case the buyer’s, eye travel around the photograph and create the ambiance of your choice to exude the high aesthetic appeal of the documented place. When setting up the interior beforehand, the first step is to take out the elements that do not fit in with the setting, or else it might distract they buyer’s attention while viewing. The second step is to identify the focus or central point of your photograph. To know how to figure out what the central focus is, ask yourself, as a real estate agent, what you are trying to sell — it can be the large layout of the kitchen, the luxurious style of the bedroom, or the evergreen garden at the back of the house. After that, identify which part of the room or exterior can express that characterization, situate yourself with the chosen central point at the center of the frame, and then click! Take the shot and go to the next room on your list. When all of these tips are done and achieved, the client will not only be convinced that what you’re selling is a great deal, but will also appreciate how beautifully you have taken pictures. With just enough patience and practice, all of these can also be applied to other things photography-related. These tips given will not only make you help on being a better realtor but a better photographer as well.